My ex colleague Paula (she of the healthy Banana Bread fame) brought these to one of our Biggest Morning Teas at my old job and it was love at first bite. 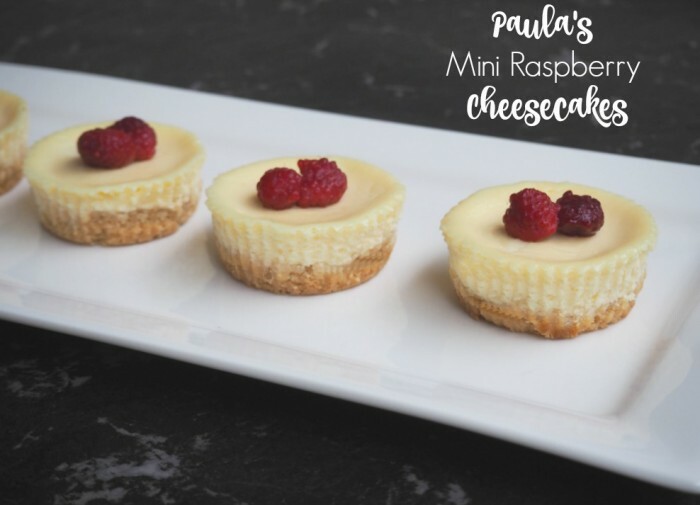 These individual cheesecakes are super easy to make, super yummy to eat and they’re pretty as a picture. Best of all, they’re individual serves so no sharing necessary! Win, win! Of course, I’ve updated the recipe and added a Thermomix conversion, but however you make these, to eat them is to love them! Line a 10 holes of a 12 hole muffin tray with 10 paper cases. Fill remaining two holes two thirds full with water. Preheat oven to 160C /150C fan-forced. Blitz biscuits in food processor until texture of crumbs. Add biscuit mixture to melted butter. Press mixture firmly into 10 muffin cases. Put tray into fridge to set while you make the topping. Using an electric mixer beat cream cheese and sugar until smooth and creamy. Add the egg, juice and cream and beat again until well combined. Put mixture on top of biscuit base and cook for 20 minutes. Leave in the oven to cool with the door slightly ajar for about an hour. Remove from the oven and allow to cool on the bench for another 30 minutes before removing cheesecakes from the muffin tin. 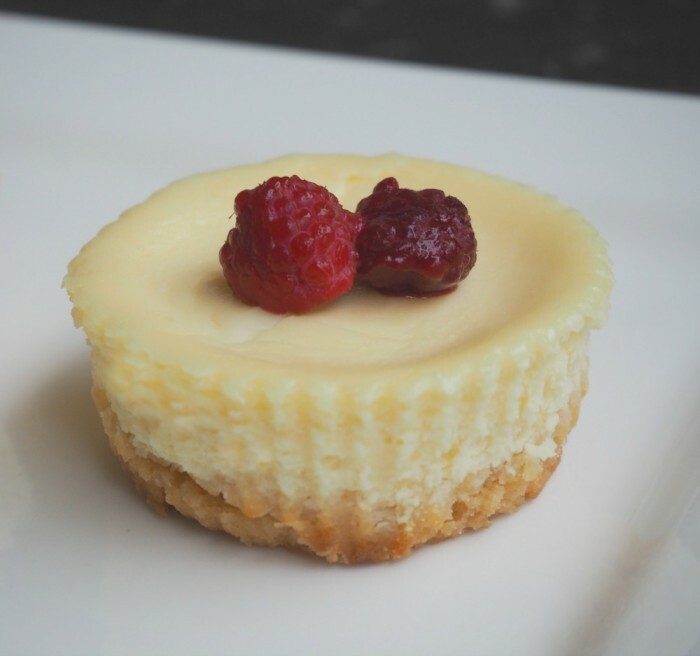 Remove cheesecakes from paper cases and top with raspberries just before serving. Melt butter for 3 minutes at 60C on speed 2. Check butter has completely melted. Add biscuits to TM bowl and crush for 10 seconds on speed 8. The mixture should be the texture of damp sand. Press mixture firmly into 10 muffin cases. Put tray into fridge to set while you make the topping. Rinse the bowl and add cream cheese and sugar. Mix for 10 seconds on speed 4. Add the egg, juice and cream and beat for another 20 seconds on speed 4 until smooth and creamy. Pour mixture on top of biscuit bases and cook for 20 minutes. TIP! These cheesecakes are easy to make but they do take a while to cook and cool. You can prepare them 2 days ahead and store in the fridge or up to a month ahead and store in the freezer. Defrost overnight in the fridge.